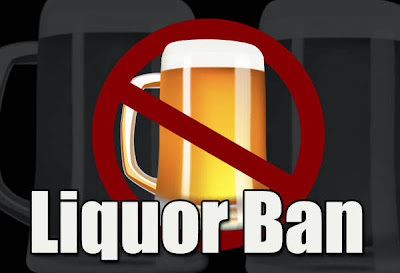 The Commission on Elections (COMELEC) announced that liquor ban will be imposed today October 27 and 28, 2013, in connection with the October 28, 2013 Barangay Elections. The ban covers the selling, offering, buying, serving and taking of intoxicating liquor, said COMELEC Spokesman James Jimenez. Anyone caught defying the ban faces up to six years imprisonment. Under a Comelec resolution, violators of the liquor ban may constitute an election offense and shall be punishable by imprisonment of not less than one year, but more than six years, among other penalties provided for by law. “Starting 12:01 of October 27 until midnight of October 28, an election liquor ban will be implemented nationwide except in the Province of Bohol and in Zamboanga City,” Jimenez said. He explained that that Bohol and Zamboanga City is not covered by the ban as the Barangay polls there were postponed to November 25, 2013. Election in Bohol was suspended due to the widespread damage from magnitude 7.2 earthquake that struck the entire province last October 15, 2013. Also, Zamboanga barangay poll suspended due to extensive damage brought by the 3-week conflict between government troops and Muslim rebels in September.